People often interchange price and cost, but it’s important to recognize the significant difference between the two. Remember the old adage, “Beware the cost of the lowest price”? Well, it rings true. Just because a product is less expensive than its competitors’, doesn’t mean you save money in the long run. Sometimes, perhaps most times, you end up spending more in part because of time and efficiency lost to mediocre service. Or, you could potentially spend twice as much as you’d originally hoped because you have to replace your current company. 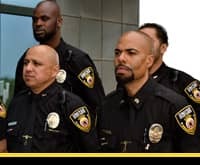 Hiring a security guard or agency to protect you, your family, your business, and the entire community is the best decision you can ever make. The increasing rate of criminal activities has given rise to safety concerns for every single person. Though there are many options that one can opt for when it comes to implementing security measures, a Bellflower armed security guard service is the best investment you can make. Here are some of the facilities where employing armed security guards is a good idea. The demand for security services is on a constant rise due to an increase in the frequency of crimes. Now the theft, burglary, violence and other types of crimes are not affecting the special individuals or VIPs only, but it has become a major problem for an ordinary man. Under this scenario, people need extra protection shield, more than the conventional security provided by government authorities such as police. According to the statistics, criminal activities in the U.S are escalating. As these terrifying criminal and violence situations are making people insecure, their accent falls on acquiring security services in order to ensure the protection of their lives, family, items and valuable property. For additional security, many companies are delivering security guard services in the US for personal, commercial, and property safety. Business parks are areas which are designed specifically to contain groups of offices and buildings which are mostly focused on commercial gain. Large industries and factories are normally not present in these areas. However, the presence of a group of various businesses makes these parks a hub of activity, centered on achieving commercial and financial success. When we talk about just one office which isn’t located in a business park, managing the security and keeping things low-key is still relatively easy but, when we consider a business park, this area is in the limelight, thus making it an easy target making business park security an absolute necessity. With the leaps and bounds with which technology has progressed, today, we can take our security into our own hands. We no longer must rely on security forces to protect us, though they still play a pivotal role. However, multiple methods have emerged which allow the common man to maintain and monitor security themselves. One of these methods is the installation of CCTV Security Systems. The management of these systems is relatively easy and once they have been installed, you don’t need a technician to work these gadgets. With the increased need for effective security services, several companies which specialize in protective services have sprung up. They tend to offer a range of services, going from event security to warehouse security to security for private homes. Another service which most professional companies provide are patrol security services, something which an increasing number of people have started to invest in. Healthcare Facility Security – What Challenges Are Normally Faced ? Normally, when a person thinks of a healthcare facility, a hospital or a clinic comes to the mind. One word which doesn’t come to mind when we think of them is security. This is because, people either identify it as a place of healing, or a place with bad memories. No one thinks that dangerous or illegal activities could be occurring within the hospital premises, but someone who deals directly with hospital management can understand what threats such areas face, making healthcare facility security one of the top priorities of a hospital administrator. Shopping centers are the hub of activity, regardless of which city they are located in. From a place to get your clothes from to a place where you can meet your friends and relax, a shopping center is a multi-purpose location. With its many uses, this place also attracts multitudes of people thus making it an easy target for troublemakers, making shopping center security absolutely essential. Storage Facility Security – Why Do You Need It? The purpose of a storage facility is quite simple to understand. People put their valuable belongings within storages when they can’t keep those items with themselves for whatever reason. When a person chooses a storage facility, they are basically entrusting their valuables to the person/group of people who own(s) and manage(s) the facility, making it a major responsibility for the latter. Allowing things to go wrong and for someone to face a personal loss can be devastating for the person involved and can also be disastrous for a storage facility owner on several fronts. To prevent such consequences from occurring, it’s better for such individuals to invest in high class storage facility security.